We’re Ready, What’s the Wait? 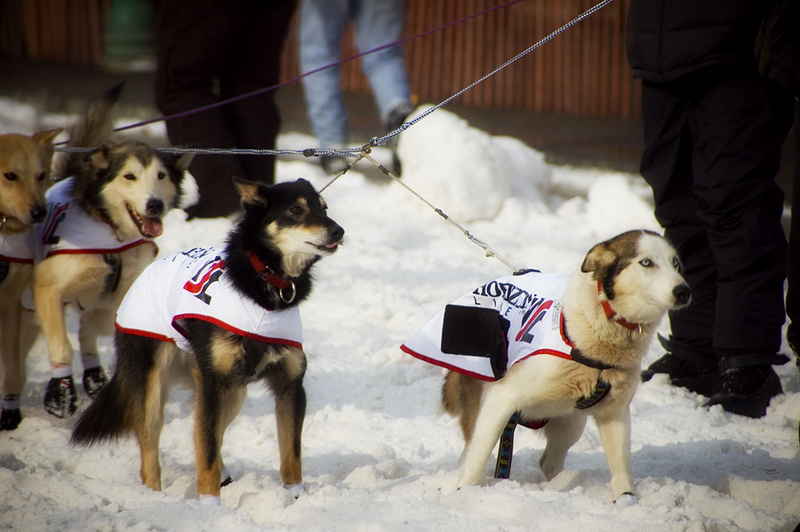 Lead dogs at the ready from what I think is the SP Kennels team at the Iditarod start. They look ready to mush. Love the anticipation of the lead dog. Well done. Ads like NASCAR?? The dog in front looks intense. They all know their placement don't they. Such smart dogs.